[The] parties agreed to a settlement that is subject to a permanent injunction barring Whimsic Alley from displaying any “Harry Potter” trademarks and other “confusingly similar” marks in the shop or on its website, selling unlicensed “Potter” wares, and offering “Potter”-themed services such as day camps or parties at the Great Hall. But the settlement allows the store to continue selling licensed “Harry Potter” merchandise — which it had long carried alongside unofficial wares that were reminiscent of clothing and other objects from the boy wizard’s universe. 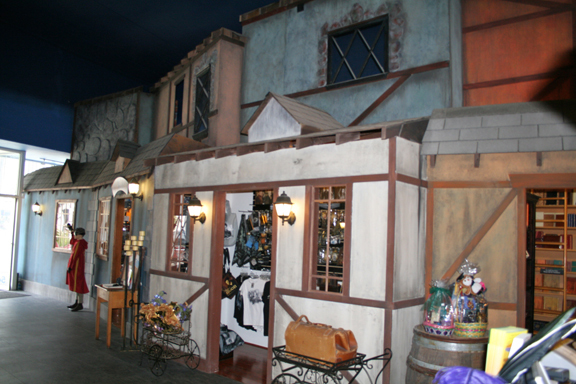 In Whimsic Alley’s inventory were many unlicensed items evocative of clothing and other objects in the Harry Potter universe. Apparel models on the Whimsic Alley webpage in school uniforms and professorial gowns had a strong resemblance to leading players from the movies. This is the second time Warner Bros. has sued the store. The 2004 suit was settled in a similar way, with store owner Stanley Goldin agreeing not to display items that featured Harry Potter trademarks — or other “confusingly similar” products — in connection with the sale of merchandise. 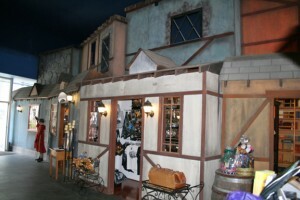 This entry was posted in Like Show Business and tagged Harry Potter, Whimsic Alley by Mike Glyer. Bookmark the permalink.